Hey, look! 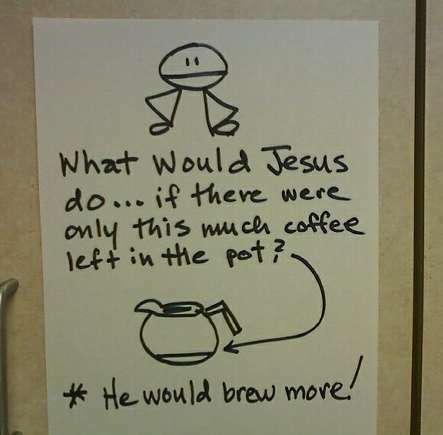 A coffee pot! 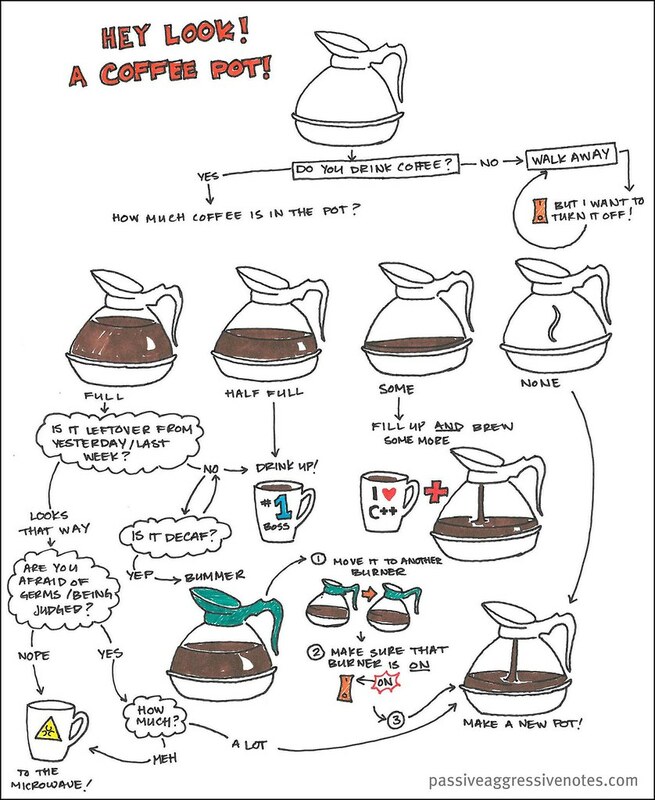 This isn’t the first “coffee-maker etiquette” flowchart I’ve seen, but it is the most aesthetically pleasing. Says Sarah in St. Louis: “The IT department in our office is notorious for drinking the last of the coffee without making more.” (Note the subtle “I heart C++” mug.) Apparently, one of her co-workers thought breaking things down into engineer-speak might help.